The Developer, City & Country, have now submitted their planning application. You can view this on the Colchester Borough Planning website ( click here ). 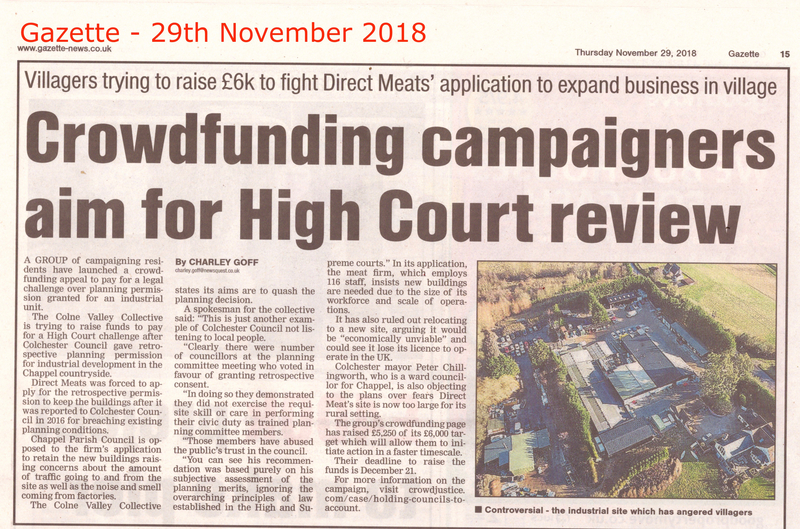 Comments and objections have to be in by 18th February 2019. Some ideas for objections: Does not recognise we are an island • Restricted access due to single tidal road • Limited room for expansion for future generations • Whole island lying within the Coastal Protection Belt • Omissions of constraints, transport issues, incorrect housing data, lack of capacity for Medical care on the Island • No account taken of caravan and visitor numbers • Breaches the Local Plan that is to plan the whole of North Essex • ‘Affordable houses’ won’t be affordable for locals their cost will be far too high they will appeal to London Borough’s instead. • It will destroy local habit. • 200 homes = 468+ additional cars. 2.34 cars per household (source DVLA). Likely 800 additional vehicle movements per day. In January the island was closed to traffic for 4 hours. • All additional traffic has to come over Strood, Dawes Lane, East Road • How long before there’s a very serious accident at Strood/East Mersea Road junction. • Dawes Lane is an unclassified Road. • Parking is already a huge problem on Mersea especially in summer. West Mersea Town Council meeting that decided unanimously to object. Latest! Mersea Residents can walk on water. Who knew? As part of the planning application, the developer has take into consideration the strain on public services like the doctors. The chart below appears to suggest that if Mersea Surgery is no longer accepting patients then residents could sign up to surgeries in Tollesbury or Brightlingsea as they are nearby..
We call on residents to rise up like Fressingfield Parish Council - "Plans for more than 200 homes in village rejected as hundreds send in objections " East Anglian Daily Times 26th November "
​STOP350 calls on West Mersea to follow the lead of Fressingfield. West Mersea Town Council must back one site. They are refusing to do so. 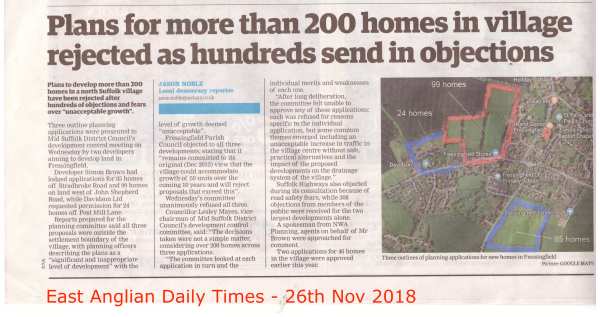 Why don't they act to stop many more than 350 houses? Residents are urged to contact local Councillors and the Town Council. Urge them to back one site."